Office decor begs for a natural brightness. Most office spaces are fairly unimaginative but it doesn’t take a lot of time or money to inject life into your workspace. And if you’re looking to grow your business, perception can be reality. 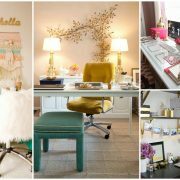 Try these affordable, interesting and slightly quirky office decor ideas decorations to add colour and energy to your office. Most workplaces are largely white, grey, blue and black, so brighten your space with instantly colourful Water Beads. Water Beads are spherical colourful or clear beads that look great in the base of a flower arrangement, or on their own in a glass bowl or vase. These clever little beads start out as tiny balls and expand up to 100 times their size. If you’re a flesh flower lover, Water Beads add extra pop to any arrangement. Add them to the bottom of your vase, pour in some water and add fresh flowers on top. Whether you chose real or fake flowers, Water Beads can be added to fill the first third of the vase to perfectly complement or contrast your arrangement. If you want to grab some water beads right now then you’re in luck! We sell them at Australia’s lowest prices. Browse the water beads store. Word clouds and quotes painted on the walls of communal spaces add a touch of inspiration to your workplace. Choose a motivational quote about team work or friendship, or search for word clouds around your favourite work-related concept from concentration to success. Either contract a typographer to create your mural, or purchase a poster and stick it up. Modern offices like Digital360 often take it a step further by utilising dry-erase whiteboard paint on selected walls. This gives the staff the opportunity to decorate as they see fit, often with hilarious results. The coffee room is the perfect place for these inspiring touches as it’s where people have a moment to stop and reflect while they wait for the kettle to boil. 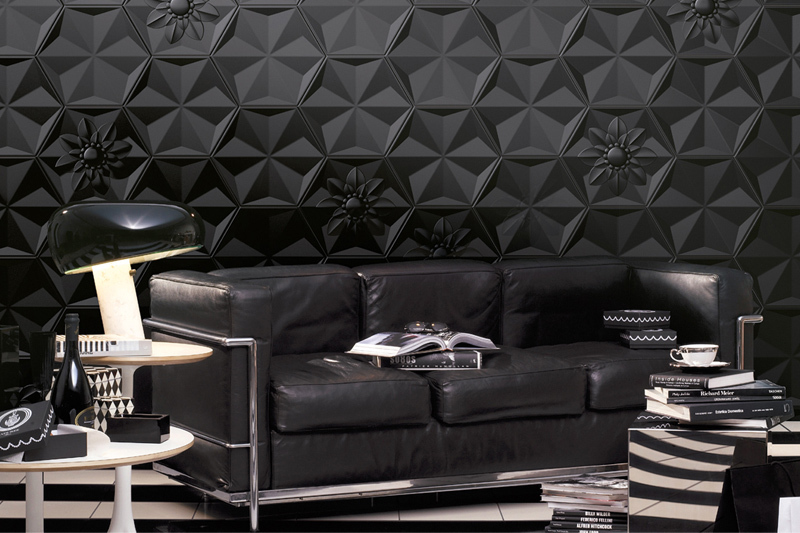 Hexagonal tiles in white, gold, pastels or black create a unique feature on any office wall. You don’t even have to arrange the tiles in a perfect order, simply line a few up in a honeycomb pattern, then add a more tiles a few centimetres away to add a modern geometric look to your wall. With just 12 tiles you can create this interesting feature. These tiles aren’t expensive, but you’ll need to gain approval before you stick them to your workspace wall. Offices don’t have to be dull and lifeless, even the smallest touches can add energy and fun to motivate you during the week. At your next staff meeting, why not pitch the idea that everyone bring in a succulent for their desk, and add Water Beads to the glass containers? In just one week you’ll notice your office looks lighter, brighter and more inviting. 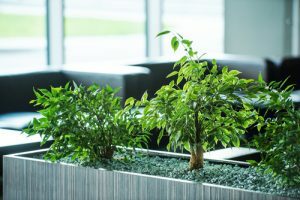 Leafy indoor plants and succulents are incredibly popular at the moment, as research is showing the huge psychological benefits of housing greenery in your office. Rather than using a classic pot though, try placing mini succulents in conical glass science beakers, egg cups or transparent wall-hanging planters. They’ll look incredibly cute, plus they’re so low maintenance all you need to do is find these little plants a home and they’ll live happily on your desk without water for months. For bigger plants like the trendy Fiddle Leaf that thrives indoors, try hanging a few from the wall in ceramic pots, suspended by leather cords. These options not only look great, increase the oxygen in your office and add a splash of colour; they also take up very little space on your desk, windowsill or floor.